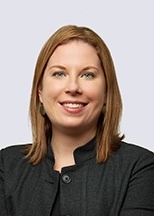 Jenny Schwab is a partner in the firm's Antitrust and Trade Regulation practice. After serving 12 years at the Federal Trade Commission, she has substantial experience in merger investigations and litigation, as well as non-merger antitrust matters. Jenny advises clients on a broad spectrum of competition-related issues. She represents clients before law enforcement agencies and in civil litigation proceedings.